The following comes from my column, Spliced from Volume 47 - Issue 17 of the Carillon (the University of Regina newspaper) from February 2005. In it, I muse about the influence and brilliance of the Muppets and how they're due for a proper revival. Of course, all of this came before the 2011 Muppet movie that did just that. It's like they knew exactly what I was thinking. Not too long ago I found myself gazing out the window at the lightly falling snow. It was remarkable how the wind carried and shifted the millions of snowflakes like a flock of birds darting out of traffic. If only I had had my video camera at that moment I would have recorded it and watched it over and over again in true American Beauty fashion, for I felt my heart welling up from the endless beauty that lay just outside my window. By no stroke of chance I began to question what likely every person questions at some point in their existence. What the hell happened to the Muppets? Ok, so the Muppets never really left, but the likes of Fraggle Rock, The Muppet Show, and feature length films featuring the odd bunch have either been left by the wayside or have faced poor attempts at revival. So until they (meaning the new owners, Disney) can make the Muppets better, I think it’s best to embrace the movies that made them such household names in the first place. The Muppet Movie (1979) starring Kermit the Frog and Fozzie Bear, was the first feature length picture for the Muppets and was released during the syndication of Henson’s The Muppet Show (1976-1981). With hopes of hitting it big in Hollywood, Kermit and Fozzie head cross country and run into all the characters you’d expect from Gonzo to Miss Piggy. The usual sprinkling of celebrity cameos ensues, including Milton Berle, Steve Martin, Bob Hope and many more. 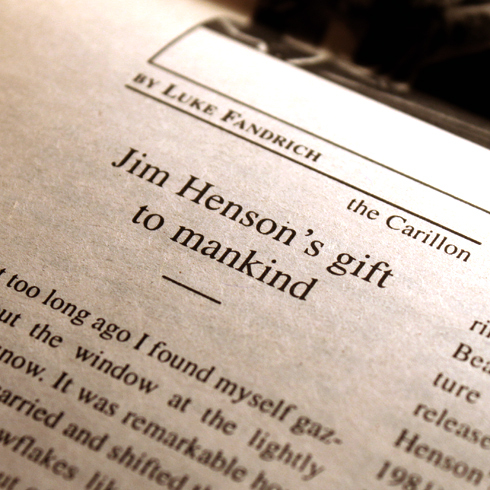 The idea for the film supposedly came from Jim Henson’s own rise to stardom. Cameos by characters such as Big Bird, who’s heading to New York to break into television, are obvious references to Henson’s multiple endeavors at the time like Sesame Street. Any fan would do themselves good to see this and all of Henson’s other films again. 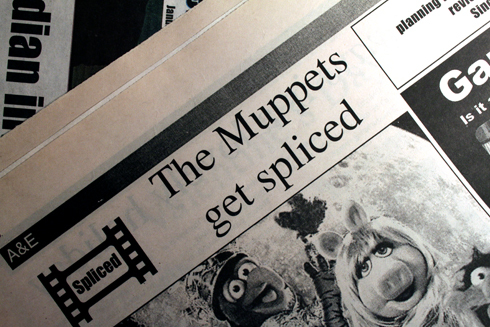 Other pictures such as The Great Muppet Caper (1981) and The Muppets Take Manhattan (1984) continue to comment on the down and out luck that the group has, but the films follow the same formula with catchy songs, outrageous slapstick, and with a like-ability that appeals to almost everyone (and I say almost everyone, but I’m hard pressed to think of someone who hasn’t enjoyed something Jim Henson has done). What is amazing about the films besides the original characters and talent is the technical aspect of it all. The fact that sets have to be constructed to allow a Muppet handler to move freely while interacting with a human character poses numerous problems, yet each film makes it look easy - like a live action cartoon. Keep this in mind when watching, and I guarantee you’ll ask “how’d they do that?” a few times. Literary tales have been the inspiration for the latest Muppet films such as Muppet’s Christmas Carol (1992) and Muppet’s Treasure Island (1996). The same is true for the latest project to come from the now Disney owned Muppet cast. Muppet Wizard of Oz is a made for TV movie slated to air on ABC in the spring of 2005. Get out there and relive the zany antics of the Muppets. Just walka, walka, walka to the video store (groan) and if you didn’t get that, your need for the Muppets is far more serious than I thought.